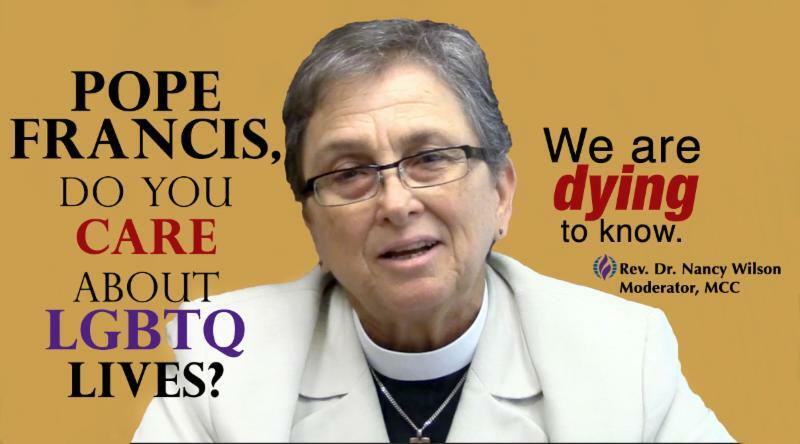 Pope Francis, do you care about LGBTQ lives? Global Moderator of Metropolitan Community Churches (MCC), the Rev. Dr. Nancy Wilson, spoke out today in response to the secret meeting between the Pope and Kim Davis, the county clerk who denied marriage licenses in defiance of a ruling by the Supreme Court for equality under the law for all couples.